A complete dynamo bicycle light set: this is the Swallow! 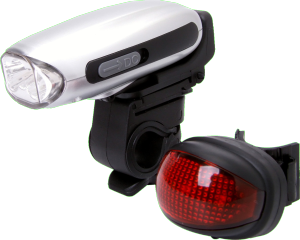 Just windup the front light, attach it at the holder and you have a bright front and rear light on your bicycle. use the normal or the flashing mode to secure you will be seen in the dark. The Swallow is also a dynamo emergency charger for your mobile phone.